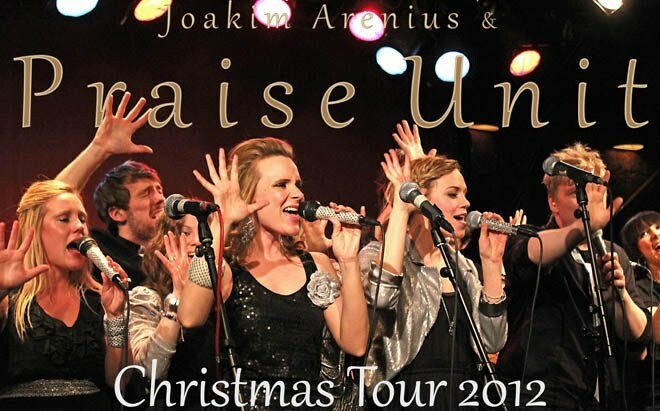 In January 2013 Praise Unit starts preparing for Christmas 2013. We are happy about the four songs we released on our EP last month, but we have eight more songs to put on the Christmas CD for this year. Almost everything is recorded, but there is always something more to do. On Saturday, this week, we meet to record some video clips. There are also a lot of other things happening this year for Praise Unit. But this blog will take a rest now, and we will return with updates later. Remember to "like" our Facebook page to get more updates! Enjoy the new year everybody! Today is the day we celebrate Christmas in Sweden, December 24th. The birth of Jesus was the birth of the person who has changed the world more than any other person in history. No religion, politician, celebrity, drug, hype, movement, war, book or person will ever come close to making such an impact on this world. Let Him be part of making this Christmas be your merriest Christmas ever! Here is the iTunes-link to the Praise Unit Christmas EP. We are also available on Amazon and Spotify. This is the last day on the bus. We are now going through Sweden, but we don't see much of our country, because it's in the middle of the night and it's all darkness around us. Some of us are watching a comedy on the bus TV right now, some are sleeping and I am writing this. I feel a little sad that the tour is over, because it has been great to travel with Praise Unit and everywhere we went we had a new but always amazing experience. I think we have more pics on our Facebook site, and we will share more in the week to come. The little light shining in the darkness for me right now is that soon I will be with my family again! We have been without internet for some time, so I did not have the possibility to write anything here. Two days ago we were part of a celebration in Langenberg. Roland turned 40 and his choir Rejoice impressed us all with their birthday song. The church was beautiful and Rejoice fir very well with their beautiful music. Yesterday we heard "Heaven sings" from Dessau. A mixed repertoire with lots of accapella and old spirituals. Very nice to listen to! Plus we heard Dessau Soul Teens to a great version of "If nobody likes you"! In a few minutes we do the last concert of the tour. It's a little sad. From Dessau to Düsseldorf we watched a german movie in the bus today. "Die blecktrommel" from 1979. It was, well... not so easy to understand. Kind of tired and ready to go to bed. But I need to say that I am so happy that the Christmas songs also work in Praise Unit style. We just came back from the concert in Langenberg, where we really enjoyed the beautiful church, the great choir and the Christmas snow in this little pretty town.